Beautiful color and design...makes for a really lovely artwork. How wonderful! I really appreciate that, Sharon. Your Work is WONDERFUL Carol! Beautiful motherhood. Happy Mothers Day! Thanks dear.................Its lovely painting .I like the Handling of colors. 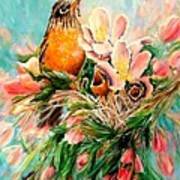 This is beautiful, a real spring bouquet. How neat! I did not even see the babies until I went to full view. What attracted me to this in the first place was the great color. I love the olors in this painting. It has such a wonderful feeling to it. This is just beautiful. I love your style! 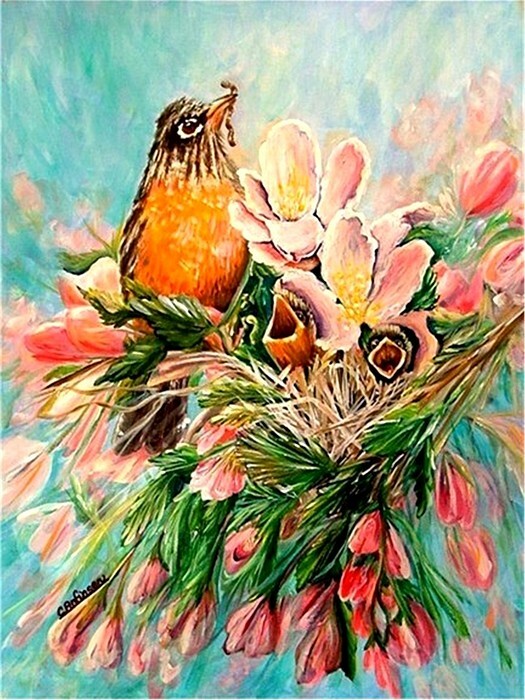 I love the colors and the baby birds are terrific! What a beautiful painting! Your composition, colours, and sensitivity-not to mention the subject matter-all combine to make a powerful emotional statement. Bravo! This is amazing. Love birds and the colors. Lovely radiating lines and colors. Liked the title too. Thanks. 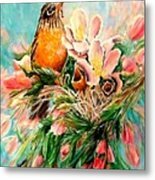 Its my first ever sale. 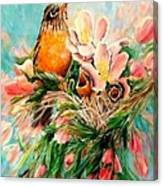 My acrylic painting �Robin Hood� was inspired by the apple blossoms in the Spring and the sighting of a robin�s nest.